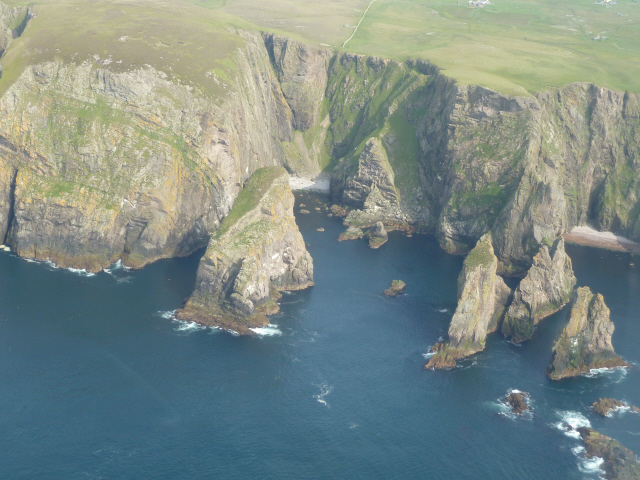 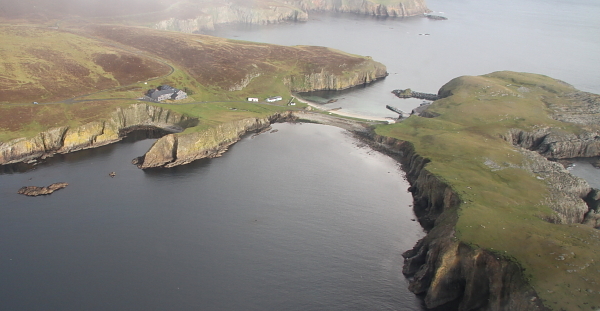 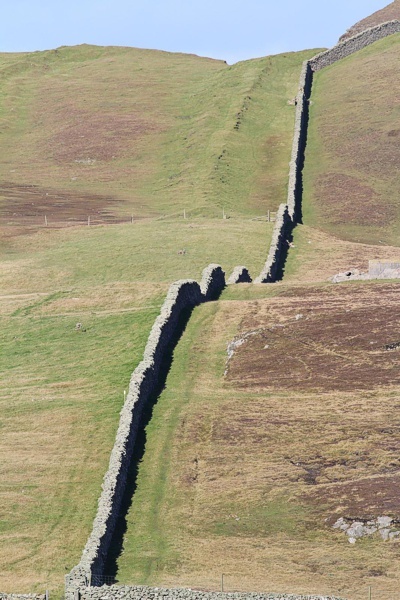 Fair Isle is one of the seven National Scenic Areas (NSA) of Shetland, as defined by the Scottish Government. 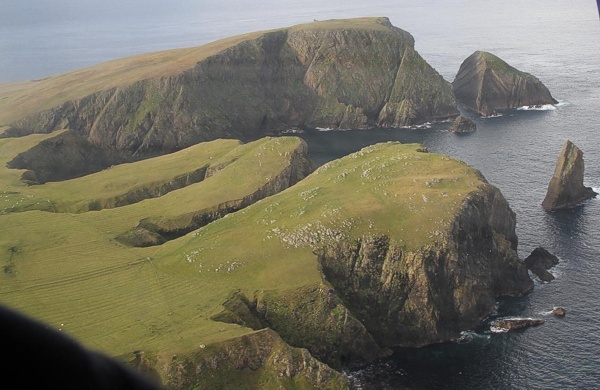 Fair Isle is a combination of green fields, moors and sandstone cliffs, with nothing ever far from the coast. 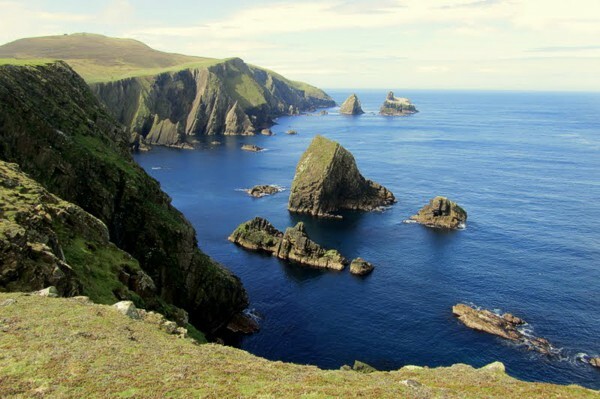 Remote from the mainland of Shetland, it has a great diversity of cliffs, geos, stacks, skerries, natural arches, isthmuses and small bayhead beaches. 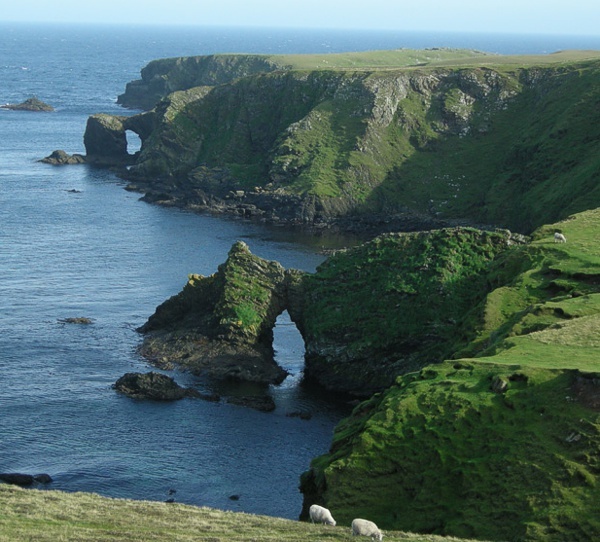 While it lacks great absolute relief, it has the distinctive features of Sheep Rock and the several eminences of its west coast which add further variety to the coastal scenery. 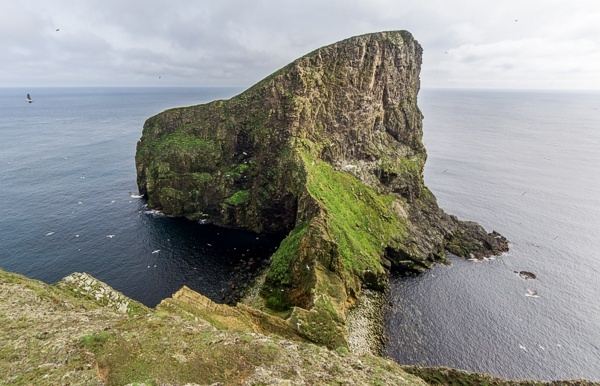 Most of the island is also an SSSI (Site of Special Scientific Interest), SPA (Special Protection Area) and SAC (Special Area of Conservation). 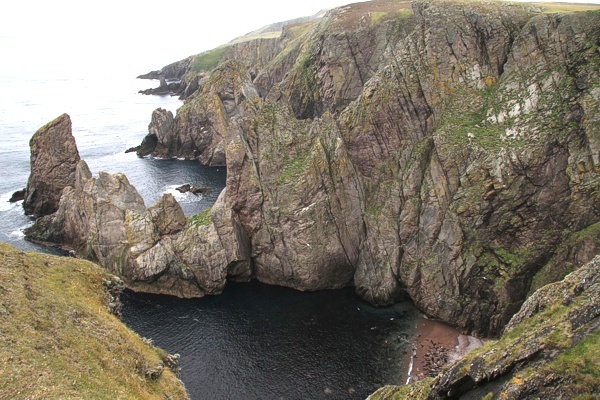 These designations cover the area north of the Hill Dyke and extend to include all the coastline, cliffs and offshore stacks and skerries. 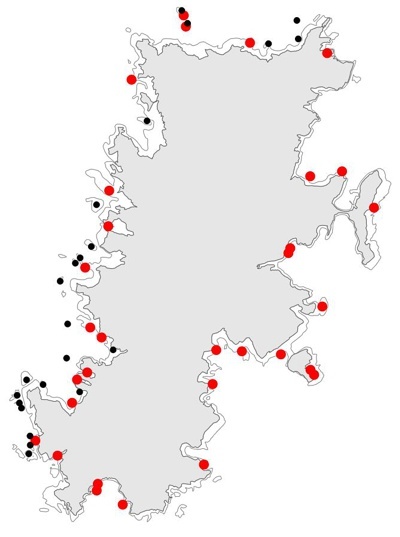 The offshore area has also been proposed as a potential MPA (Marine Protection Area). 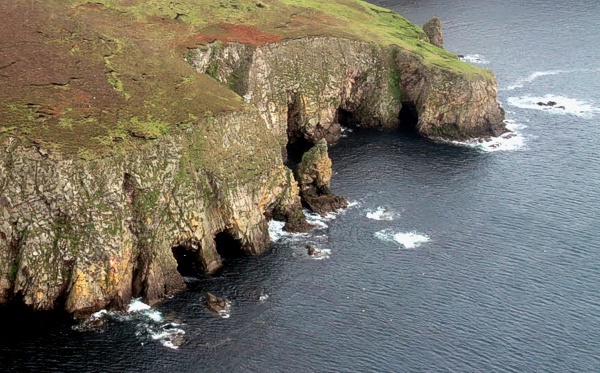 Map of Fair Isle's stacks (black) and arches (red) which decorate the coastline. 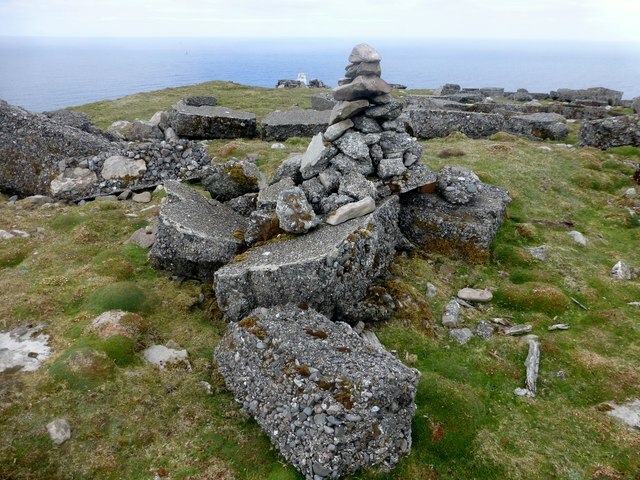 The highest point on Ward Hill is marked by a cairn (220 m) a few metres away from (and 3 metres higher than) the Ordnance Survey trig point (217 m).